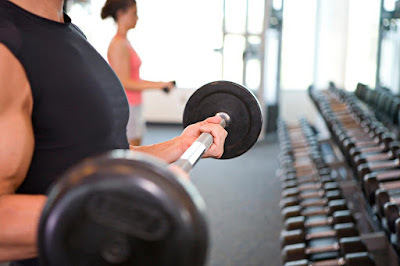 Weight training can be a demanding activity and if done incorrectly could cause injury or pain, so it’s best to first consult a GP before undertaking any form of training program. If given the all-clear going about devising a weight training program is the next step. There are a number of things to be mindful of long before getting near to a gym, let alone a set of dumbbells, and key pieces of jargon to be aware of. It’s always good to know what certain words or phrases mean in order to avoid looking like a complete novice. Training lingo or jargon is pretty easy to pick up. Weight training equipment works by using resistance, an opposing force, upon the muscles at work. Resistance training is a just another way of saying weight training. By the same token we can refer to dumbbells as free weights. These are pieces of equipment that aren’t nailed to walls or flooring and can be manipulated by the user in a number of different ways with additional pieces of equipment. What is a super-set? A super-set is when two or more muscle groups are worked on without any breaks in between. There is a specific number of repetitions and sets dictated by the individual or personal trainer, if that luxury is available at the gym, and working out in this way can speed up a strength training routine considerably. Isolation training is quite common for beginners and especially good for working on individual muscles to achieve optimal muscle growth. Isolation is good for getting cut. To cut or cutting up, as it’s sometimes referred to, is when a person trains to lose excess fat and achieve maximum muscle definition, usually undertaken by competing bodybuilders. How is Weight Training Beneficial? Having a good workout routine can help control weight. Weight training on its own will not keep the weight off for long. Mixing a weight training schedule with aerobic exercise, like walking, jogging or cycling will help aid weight loss. There is an upside and a downside to most things and that too applies here. Losing weight through aerobic exercise and dieting alone results in losing fat along with muscle. Muscles help regulate a body’s metabolism, so when muscle is lost it slows down. Adding weight training maintains muscles or increases it, in turn, maintain or boosting ones metabolism. Energy and strength are also increased when a good fitness training regime, including weight training, is undertaken.